At PCC, our older adult members are active! We enjoy meals together, a chance to be physically active, there are learning opportunities and a variety of outings and fun activities. Most importantly, it’s a place to see friends – new and old – and connect with a supportive community. Cost is just $45 per year for adults 55+ – and members 90+ are free. One of our most popular offerings is our Lunch and Learn Program. 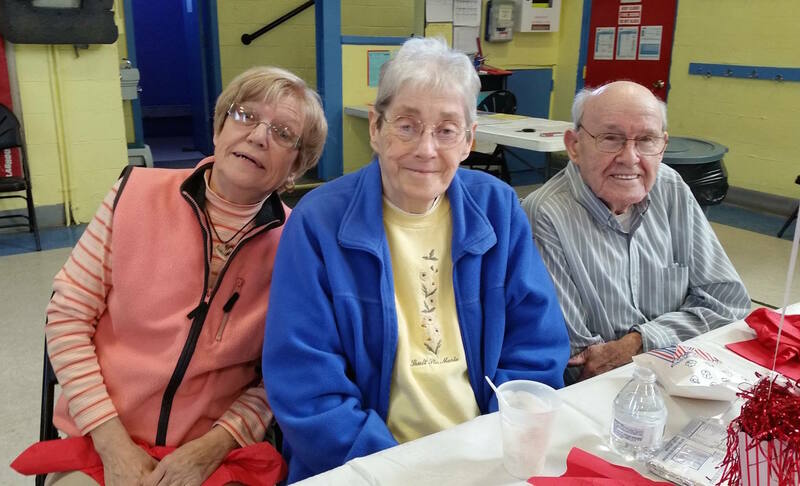 Each week, in conjunction with the Merrimack County Community Action Program, the seniors are served a nutritious meal and then partake in an educational presentation. Our seniors also spend time with the PCC youth community through Intergenerational Programs such as our Story-Art Hour and award-winning Bingo Buddy. Click here to learn more about our Intergenerational Programs. And wait… There’s the PCC Red Hatters! Our senior group has incorporated its own chapter of Red Hatters – Hannah’s Happy Hatters – for all of the gals who thoroughly enjoy life over 50! Hannah’s Happy Hatters, formed in February 2004, is an official member of The Red Hat Society. Women who are members of The Penacook Community Center are eligible to join our chapter. There is a yearly fee and you must be committed to fun and laughter. We have a Queen Mother as well as two Vice-Queens to assist her. We participate in activities sponsored by the New Hampshire Red Hat Society as well as the regional and national groups. We have assisted newly formed groups at The Merrimack County Nursing Home, Whitaker Place and The Arches in Northfield. It’s all about being over 50 and following no rules except wearing red and purple! Read the March / April 2019 Senior newsletter! See the latest highlights 2019 Seniors!